Your Dog Will Love These Homemade Treats! It is not uncommon for dog owners to skip commercial dog foods and instead opt for homemade alternatives. 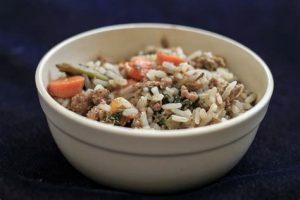 Whether you are looking to save some bucks or just ensuring that the right type of ingredients go in your dog’s meals, it isn’t to take matters into your hands. The most important thing to keep in mind is that your dog’s food should contain calcium, protein, and other nutrients needed for energy. It is a good idea to check with your vet to ensure you are getting your dog exactly what they need or whether or not you need to add a supplement. The best dog food recipe contains approximately 40% meat, 30% starch and 30% vegetables. Meat: Any kind of meat can be included. 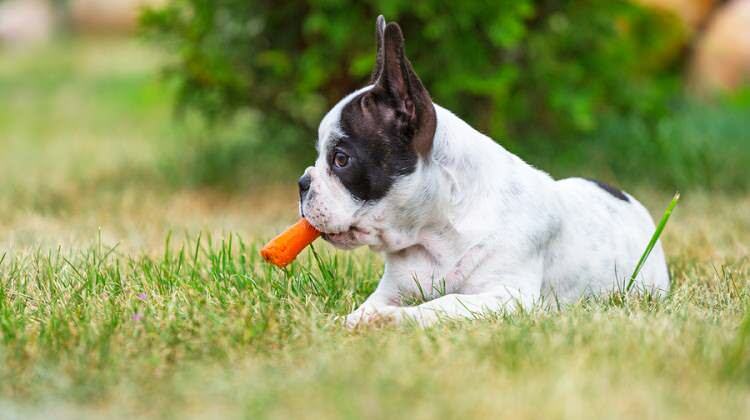 Organ meat, like liver, is especially healthy for dogs. Bones should be removed as they can lead to a choking hazard. Thoroughly cook the meat as uncooked meat can contain unhealthy bacteria and even parasites. Starch: Most forms of starch are okay –potatoes, cooked pasta, and rice are common choices for homemade dog food. Vegetables: Most vegetables types can be used. Never use garlic, ginger, and onions, as they can be toxic. Also, make sure you properly cook the vegetables as raw veggies can lead to a choking hazard. 1 cup shredded cheese (Swiss, cheddar, mozzarella, or any other type of cheese available) Dogs enjoy any type of cheese! Mix all cheese and flours together by hand or in a food processor. Add milk and softened butter, mix well. Roll out on a flat surface to 1/4 – 1/2 inch thickness. Cut out into shapes of your preference. Place on greased baking surface. Bake for 15 to 30 minutes or until golden brown. Cool and store in a refrigerator. In place of store-bought raw hides, make your own healthier alternative with chicken jerky treats, one that is chewy and tough. These treats are rich in protein, which is great for the muscle structure of a dog. Place the strips on a greased baking sheet. Bake for 2 hours. Before taking the chicken out, make sure it is hard and dry, not chewy and soft. Let the chicken cool down completely before serving. Store the chicken jerky in the fridge in an airtight container for about 14 days. These froze yogurt treats are great if your dog like chasing ice cubes. Mix the yogurt, carrots and fruit juice and slowly stir the ingredients until they become smooth. Read more about dogs at TherapyPet.org. Dog Breed DNA Tests: Which Tests Are Best?